Nominated BEST DOCUMENTARY at Hoboken International Film Festival NY, USA! Now in its eleventh year, Hoboken International Film Festival (“HIFF”) – called by FOX and other major media “One of the 10 Biggest Film Festivals in the World” – is being held June 3 to June 9, 2016 at the breathtaking Paramount Theater in Middletown, New York. 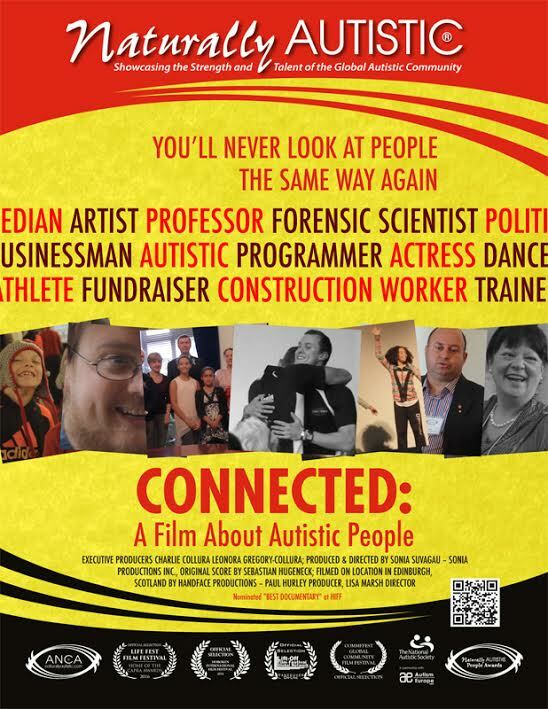 Connected: A Film About Autistic People takes the viewer on a journey into the heart of the autistic community. Countering mainstream media depictions of people on the autism spectrum, the viewer is presented with a firsthand experience of this newly emerging community with global implications. Offering fresh questions about the nature of human development; our understanding of intelligence; what it means to be “social”; and the implications of living in a conformist driven society. We Are ANCA from Naturally Autistic ANCA on Vimeo. Gibsons Proclamation for World Autism Awareness Day in support of the 2014 INAP Awards Official Kick-Off. Gibsons is the first municipality to recognize “Gold” as the official color of the Autistic Community. April 2nd witnessed Gibsons Town Hall light up in Gold. April 2, 2014 INAP Awards Official Kick-Off at Boomers Burger Bar Restaurant in Gibsons was a Great Success filled with music (Stand for the Bear) , song and dance. Photos Coming Soon! 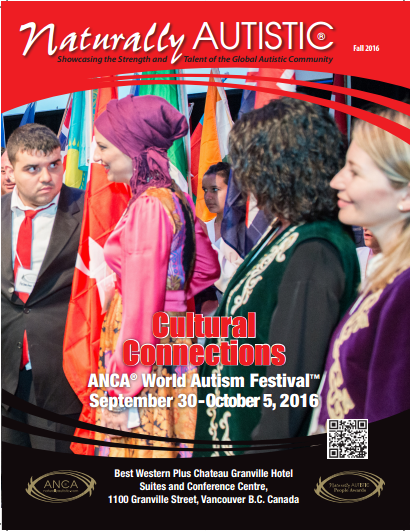 Celebrate the Accomplishments of Autistic People. 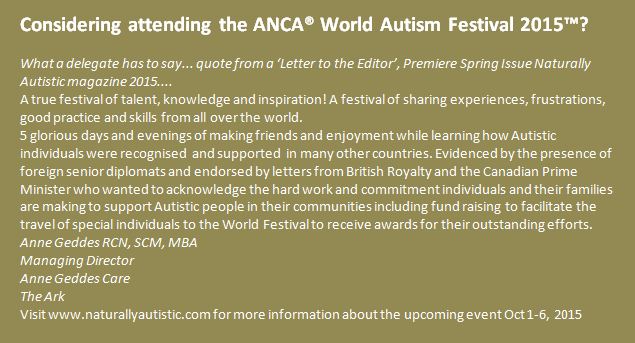 The Gala from Naturally Autistic ANCA on Vimeo. 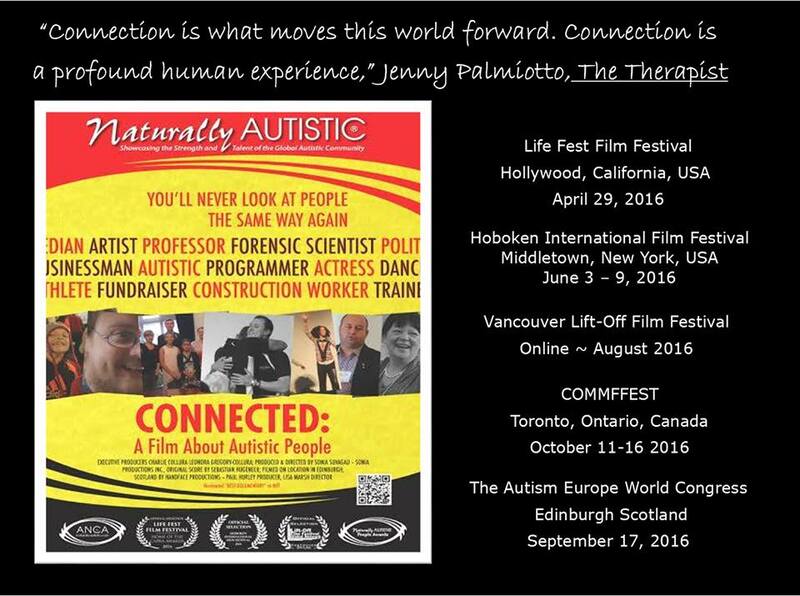 Video courtesy of Rompost TV, a Naturally Autistic ANCA Partner. Leonora Gregory-Collura interviewed on Black Diamond Radio 107.8 FM in Scotland with Host Geoff Ruderham. 2nd Interview: Leonora Gregory-Collura interviewed on Castle Radio 98.8 FM in Edinburgh Scotland with Host John Murray.